If you're shopping on eBay for cheap memory cards, you are likely to receive one of these numerous fake products. Hopefully, you can get your money back through a Claim process. But still, should you throw your 32GB card into the bin ? - read the other buyers feedback on the same item to confirm that it was not an accident and that you've been effectively scammed. 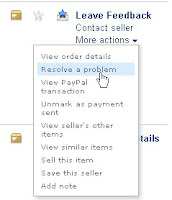 - leave a feedback to warn the others, or if you left a positive feedback too quickly, find the link "Follow up on Feedback Left" on the bottom of the eBay page to review it. 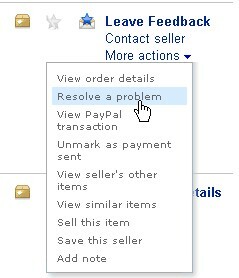 - then head to the link "Resolve a Problem" which will start the procedure to get your money back through a Paypal claim. Proceeding this way, you will minimize the damage to only a waste of time in the end. Now you may be tempted to see if you can use the fake memory card for its actual capacity (likely 2GB at best). Putting in the balance how valuable is your time compared to the real value of your now-free eBay item will probably convince you not to waste more than 30 minutes trying to make this card usable (not for taking photos or keeping backup of course, but might still be good enough for mp3 players). In Data Volume, specify a reasonable limit to test: your card's real capacity is likely to be the lowest possible so try around 2300 MByte. This phase will take about 20 minutes. 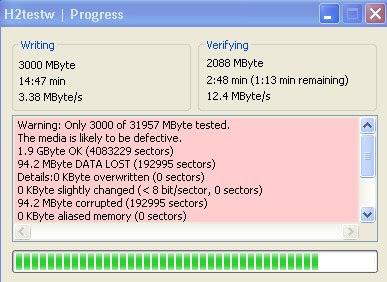 - When the "Verifying" phase starts, expect to see errors in red as soon as the real capacity is exceeded. - After checking once more that you didn't wipe your main Hard Disk, click on the "Apply" button to make the change effective. - Run either a Surface test from Partition Wizard or use H2testw again to ensure that everything now works as it should. Avoid unknown brand from even less renowned shops. Check the average price for a specific memory size and speed index. If you find a deal that's too good to be true, it probably is. Also the data you may loose with cheap memory could be far more valuable than the money spared. 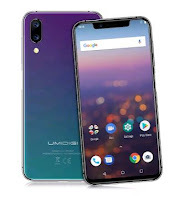 Stick to well-known shops, and yet prefer the reputed brands like Sandisk, Kingston or Samsung. This doesn't correct the card's incorrect rom bios chip ID & Settings. It's better to crush the card and be done with it. How do you do this? Can you explain? Can you tell me what I will need? To crush the card, I would use a vice ! That information is stored in the controller chip's firmware. For fake USB flash drives, you can usually find the controller chip manufacturer's mass-production utility online. (Google "fix fake flash drive" for more info on this.) For SD cards, AFAIK there's no way to do this, as no MP utilities seem to be available for any SD cards. By the way, if you're wondering the sites that usually have these utilities are flashboot.ru and usbdev.ru. my card came to be 4GB....but 4k bad memory in the middle. Thanks for sharing this article. 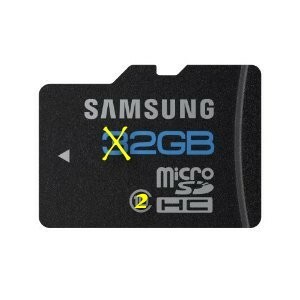 I ordered 5 32gb microSD. Hope this china man refund me. Bought a 32GB from AliExpress and as soon as it arrived, I tested it and it was crap. Disputed the order and got my money back. The guy didn't even contested me. He knew it was crap. many, if not all, of such "positive" raving reviews are by the sellers themselves. 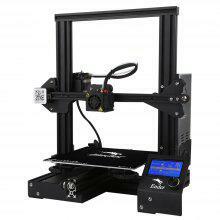 wierd... usually aliexpress sellers tend to be more intelligent.. I did it on my 32gb sd card. and it said to be 25gb. but at the end, there's unallocated 6.1gb partition that seperated. how do i fix this? Did you dispute it and get it for free? No, hadn't opened it for a year, lol. My 32 gb card turned out to be about 59mb. I figured it was fake when I got it. Got a usb micro sd adaper out of it though. 128G turned out to be 469.8MB per H2testw. Grrrrr. Can this h2test w fail, it says my SD is fine but i now is not because when I load files over 1 GB they get corrupted. Lalo, H2testw specifically states that information will be lost during the test. 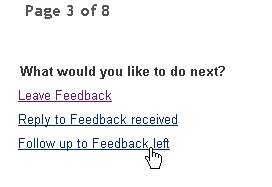 You've corruped your own I go be a use you didn't read the warning box popup. I could be wrong, but I believe Lalo meant that after the test was done that files over 1GB got corrupted. Gearbest sold me 30 FAKE USB drives... and when I reported it to them, they didn't care. So do not buy from them. Could you provide the reference to these products so others can avoid them? wonderful. all i wanted was an ok card to store stuff on. 8 gb was all i asked for. what do i end up with? 86.9 mb. let me spell that out, Eighty Six Point Nine Zero Megabytes. ...i feel cheated. Not to mention all the worry over why my files are corrupting.